Over/Under: Over 168.5 at 1.90 Bet Now! Milan come into this game with a three point lead to defend after the first leg, and they will be confident of finishing the job in Italy this midweek. Olimpia Milano dropped into the Eurocup at the Last 32 stage and both teams achieved a 4-2 record in that part of the tournament. In the first leg, the late charge by Milan was led by Krunoslav Simon, who picked up 7 points in the last 2 minutes of the game, including shots that put his team ahead. Daniele Magro grabbed the final basket of the game, and this gave Milan the lead that they hope will provide the platform for success this week. With five Milan players hitting double figures with respect to points in the first leg, it was a team affair that took down Banvit but Rakim Sanders was the leader with 19 points and 4 steals. For Banvit, Courtney Fortson was the leading player with 18 points and 7 assists. One thing that works against Banvit is their 67.6% record from free throw shots and this dropped to a 60.7% record in the opening game, so this is definitely something that they need to improve on for this game. Coming into this game, both teams have an average points tally of 78.0, so there isn’t a great deal to separate the two teams in this game. However, Milan have the big game experience and while they were disappointing in the Euroleague earlier this season, you should think that the Italian team has enough about them to do the damage this week. The hosts are very big favourites for this game and they should get a boost from strong Italian backing. 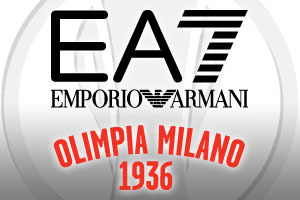 You can take EA7 Emporio Armani Milan at -9.5, and this is on offer at odds of 1.90. If you have an interest in the Over/Under market for this game, it should be slightly more adventurous than the first leg, so look to go OVER 152.5, which is also on offer at odds of 1.90. Bet Now!